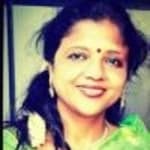 Dr Jeyarani Kamaraj performs in the medical field of Obstetrics and Gynaecology where she is responsible for helping in pregnancy, child birth and other related matters that have to do with health challenges being faced in the reproductive system of a woman. She is a well known doctor in Chennai with over 28 years of experience. This well read and well qualified doctor believes in creating a reassuring environment for her patients so that their well being and basic needs are taken care of, especially when they are going through pregnancy and preparing to go through child birth. Her keen insight has won her many patients as she specializes in varied fields within gynaecology, including surrogacy advice, planning parenthood with contraceptive advice, pre and post natal care, Caesarean Section delivery and other gynecology problems that may have to do with menstruation, menopause, fibroids, endometriosis and much more. She has attained an MBBS degree from Madurai in 1988 and has been practicing ever since. She is also available for online consultations and replies to patients and their queries via text as well. Her consultation charges are 450 to 500 INR and she can be found practicing at many multi speciality clinics and hospitals, which shows that she is a doctor of great repute. Akash Fertility Clinic, Dr Kamaraj Hospital for Men’s Health and Akash Fertility Centre and Hospital, are some of the places where she practices gynaecology in Chennai. Dr Jeyrani Kamaraj is also a consultant at a men's health clinic so that she can address problems being faced by couples when it comes to conception, infertility and a range of related issues.